Dogs and cats age faster than humans. Veterinarians consider a 7-year old dog or an 8-year old cat older, a euphemism for old. Now you may have dogs and cats older than 7 or 8 and they still act like youngsters, or you really have youngsters who drag a bit like an older pet would. 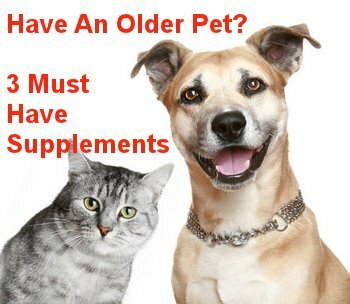 Of course, they're all different, but there are certain heath supplements that help keep your pets young, and even if they are not acting old, these three types of supplements will help protect or revitalize certain functions. 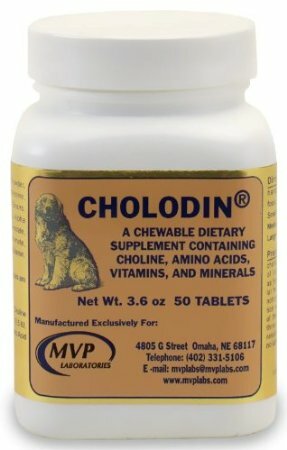 Cholodin is made differently for dogs and cats, but each should begin taking daily supplements of cholodin at the age of five for protection against deterioration of brain health. Keeping your pets mentally stimulated by exercising and playing challenging games with them is important, but Cholodin, which contains natural substances that act as neurotransmitter precursors, give your pets more energy, prevent fatty liver disease, and enhance hair growth. Owners report significant dimentia reversals even when Cholodin is administered to older pets for the first time. I started my dog and cat on Cholodin at age 6 and 7, respectively, and they have the energy of youngsters and are extremely alert for pets their age. I thank Cholodin for that. 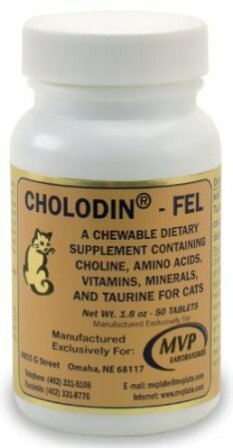 Canine Cholodin and Feline Cholodin are both available in chewable form and my pets eat them up very willingly. 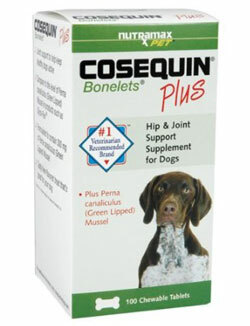 Cosequin has long been the vet recommended supplement for joint health, and there's a reason. It works. Cosequin helps support the muscular-skeletal system. 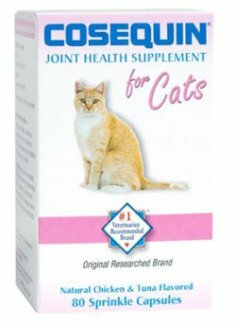 Keeping those joints lubricated is important, particularly in arthritic dogs and cats, and owners claim that Cosequin does relieve joint pain in their arthritic pets. You can wait until your pet starts suffering from an injury or arthritis, or you can start giving him supplements at age 7 or 8, like I have, or younger, if your pets are ailing. Nutramax Cosequin has recently come out with a tasty, chewable 'bonelet' for dogs and 'sprinkle capsules' for cats that are chicken and tuna flavored. The forms are a great help to administering the supplement. This vitamin and mineral supplement is great for the hormonal and immune systems of horses, dogs, and cats. Packed with vitamins, the Seameal Powder is great for pets with skin allergies and reduced hair growth. Pet owners are thrilled with the regrowth and noticeable decline in scratching behavior of their pets. 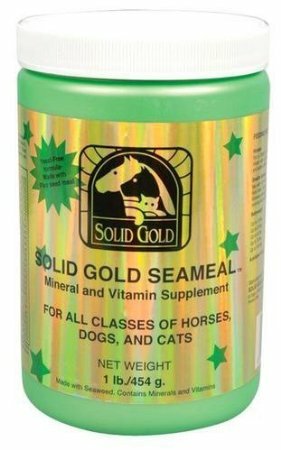 The ingredients of Solid Gold Seameal are all natural and included 60 trace minerals, 12 vitamins, 22 amino acits, digestive enzymes, and flaxseed meal. It contains no chemical preservatives. Dogs and cats like the flavor of the Seameal and you can sprinkle the recommended amounts on their food or feed it separately. You can purchase Sold Gold Seameal in various sizes at Amazon.com. It really does pay to keep your pets engaged and healthy as long as you can, just as it pays for humans to employ preventive health supplements. So whether your pets have already shown symptoms of mental or physical decline, Cholodin, Cosequin, and Solid Gold Seameal are time-tested supplements that pet owners will happily tell you work.